LOOK!! 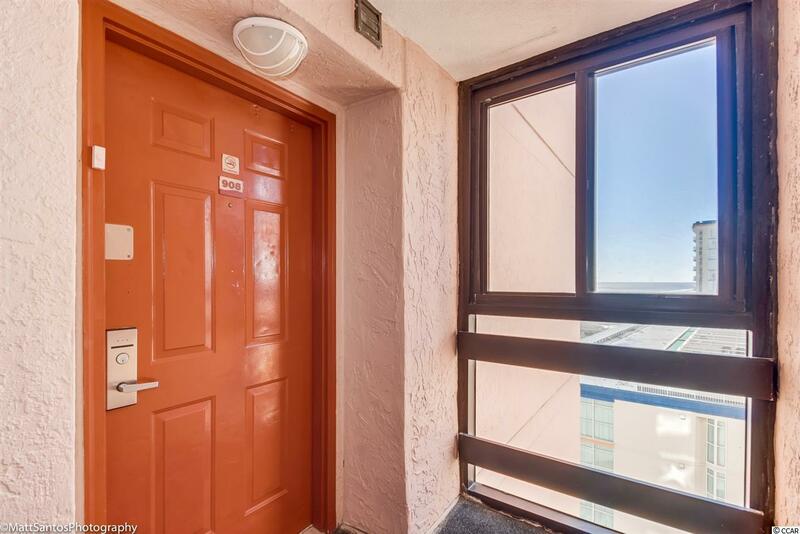 Priced Considerably Less than the 2 bedrooms currently for sale in Beach Colony - why wouldn't you take this opportunity to make this one your own?! OCEANFRONT 3 Bedroom 2 Bath UNIQUE and VERY RARE END UNIT with Windows Galore! A Must See Tiled Balcony with Views for MILES!!! Last one like this listed and sold in less than 2 months! 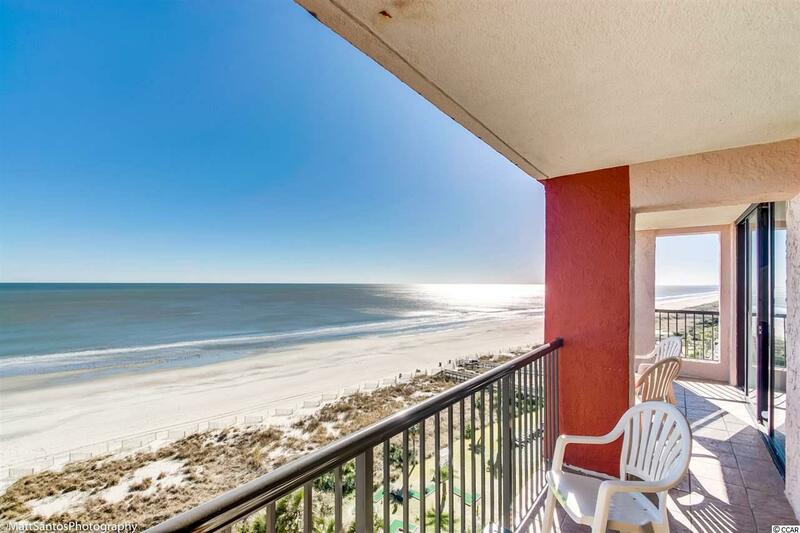 Absolutely Stunning Direct Oceanfront Views from this 9th Floor End Unit Beach Colony Condo - Enjoy the Ocean from the Living Area, Dining Room AND the Master Bedroom! 'Postcard Perfect' Balcony Views! Bright and Open Floorplan and D'cor. This unit is in Excellent condition!! Beautifully decorated! Coastal Style cabinetry and Tile counter/Custom Bar in kitchen, granite on wet bar and bathrooms! Master has huge walk-in closet with owners closet inside. Master and Guest Room have direct bathroom access. Just an overall fantastic floorplan and Ready for You Now!!! Floor to Ceiling windows across the entire front of the unit! Owner Pet Friendly! Affordable HOA Dues include all Utilities/Cable/Internet! 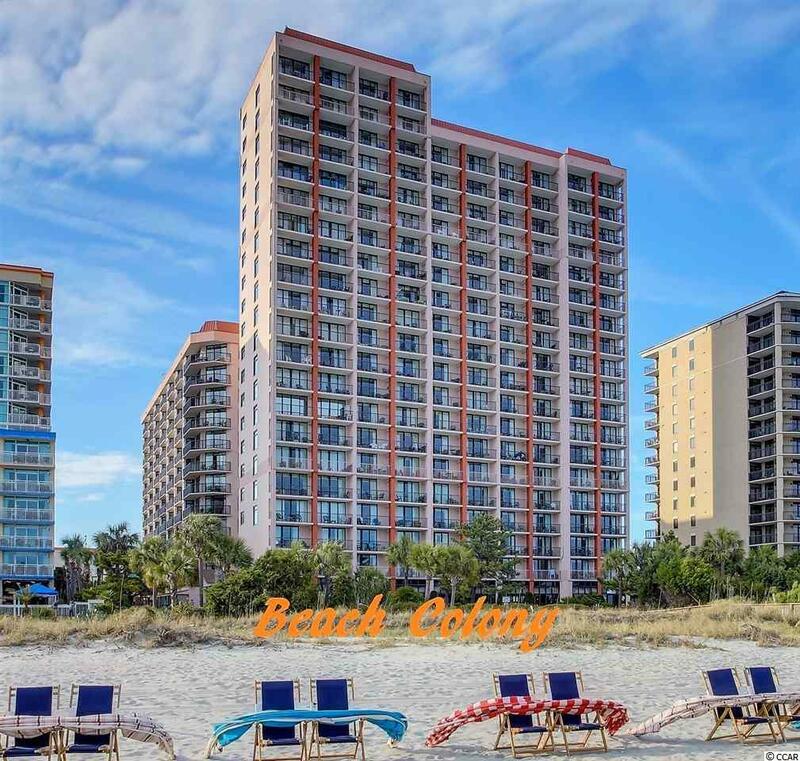 Now is the time to make your move - the rental and sales markets are on the rise in Myrtle Beach - you won't find these kind of deals much longer! Ready for your investment and/or personal use! 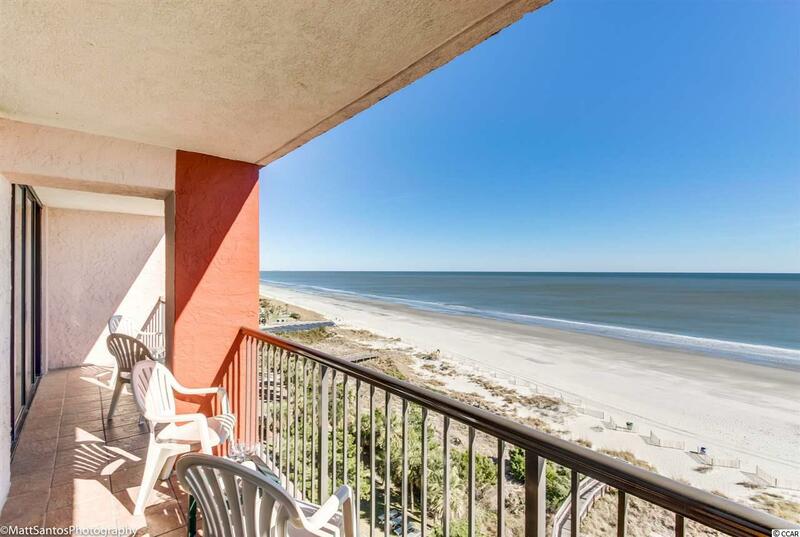 Beach Colony has it All - Well Maintained Indoor and Outdoor Pools, Lazy River, Onsite Restaurants, Ice Cream Shoppe, Tiki Bar, Spas/Hot Tubs, Shuffleboard, Racquetball Court, Fitness, and Game Room.